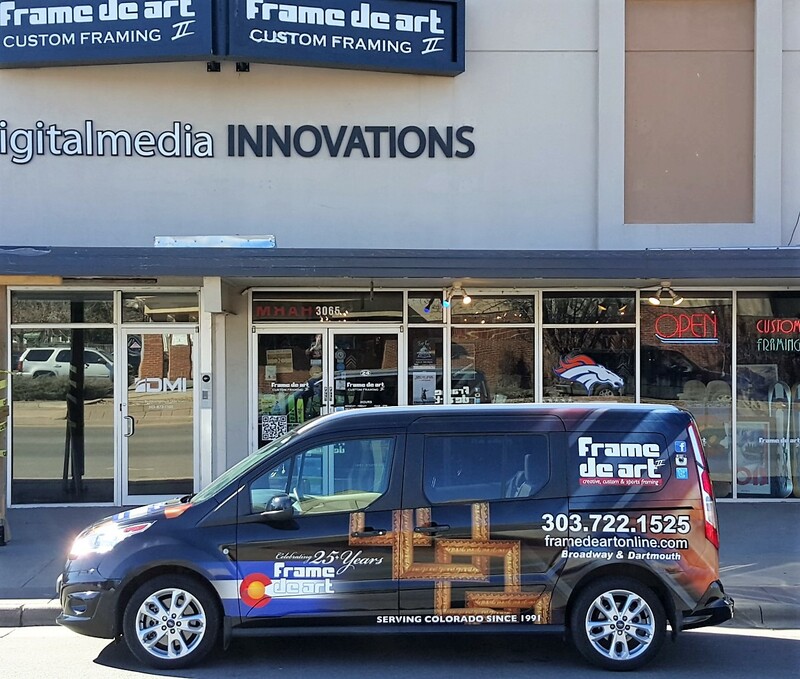 Opened in 1991 by Brian Hart, Frame De Art II has been providing good old fashioned customer service at a great value, and quality products for over 26 years. We welcome you to stop in for all your art, photography, sports memorabilia or other framing needs. Whether it's for a family photo or local sports team, check out our quality, value and great service. We frame for major sports teams including the Denver Broncos, Nuggets, Colorado Avalanche, Colorado Rockies and more. We have framed over 1000 jerseys and sports memorabilia. Stop by and ask what we can do for your team! The team of Frame De Art; Brian, Bob, Bri and Melissa,are committed to the local community,and help with many charities. We keep up with the latest technology and trends of framing and provide top notch quality. 2016 Denver's A-List Winner Customer Framing!